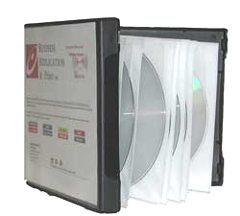 The multi-pack is ideal for packaging multiple CD or DVD discs. Inside the case are lint free, lined vinyl sleeves. There is room for the literature in the front of the case. We custom print the outer cover (front, back, and spine are on the same sheet) with your supplied artwork. The cover inserts under a protective clear vinyl cover. Click here to view the multi-pack front cover design template. 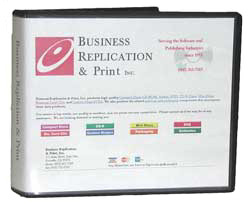 These cases are sturdy, made of the same flexible plastic as a DVD case. Please contact us if we may be of any assistance (sales@bizreplication.com) or use the CD Estimate Form or the DVD Estimate Form for a written quote.